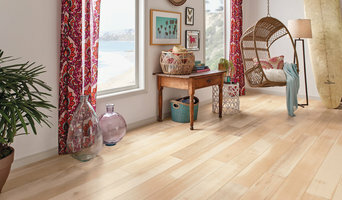 *Authorized Mohawk Dealer* Loudoun Valley Floors is an independently owned floor covering company strategically located in Purcellville, Virginia. Our central location allows us to efficiently serve our clients' needs from the Shenandoah Valley to the Beltway. Loudoun Valley Floors' management revolves around the dedication to run the company under the family values, centered on honesty and integrity, the business was founded on. Quite simply, Loudoun Valley Floors provides every client with the old-fashioned commitment to exceptional quality, craftsmanship, and customer satisfaction. At Loudoun Valley Floors, we respect our clients and know the value of their time. That's why our motto is Honesty, Integrity, Punctuality. These are the words driving us to deliver the service each of our clients deserves. Our pledge is to offer honest advice about all of the services and products we offer, and to the best of our ability complete every project on time with the utmost in quality. Just like you'd do for your own family. We know that selecting the right fixtures, features and finishes for your home can be overwhelming. We make choosing the right items for your home…simple. Carpet Creations and Flooring is wholesale to the trade. We work in collaboration with designers, architects, builders and contractors. 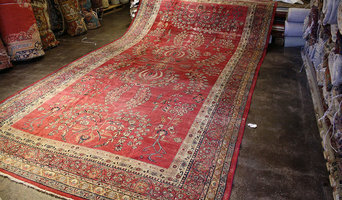 We have huge selections of carpet, wool, nylon, etc. ; custom made rugs and Tufenkian handmade rugs.We keep a close eye on detail to ensure whether its big or small, is produced with excellence. We have been in business for several years and will continue to better ourselves. We know the importance of meeting deadlines and that is why we try our very best to accommodate your hectic schedule. Please come see us in our showroom located in Rockville, Md. *Authorized Armstrong Dealer* Established in 2005, Custom Floor is a full-service flooring company that sells and installs flooring in a variety of materials for residential and commercial customers, including solid and engineered hardwood, carpet, ceramic tile, and laminate. The company also performs kitchen, bathroom, and basement remodeling services. Custom Floor provides free estimates. 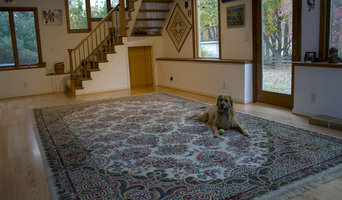 Pet damage, burns, bleach, stains or remodels can all require carpet or rug repair. Luckily, quality carpet repair pros in Gainesville, VA can seamlessly patch damaged sections so you won’t be able to tell the old from the new. Some homeowners dare to try carpet patching themselves, but it’s really an art and should be handled by a professional experienced in the subtle nuances of various carpet repairs. Before you run out to replace your entire stretch of carpet, contact a Gainesville carpet repair service near you to save time and money.